Puglia has been touted as "the next Tuscany" which is a title that I never quite understood. This is obviously meant from the perspective of the foreigner looking in, but Puglia is so vastly different than Tuscany that it is difficult to make such a comparison. 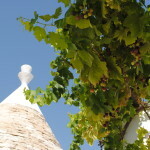 Puglia is the long skinny region in the South that is surrounded by two seas, the Adriatic and the Ionian. 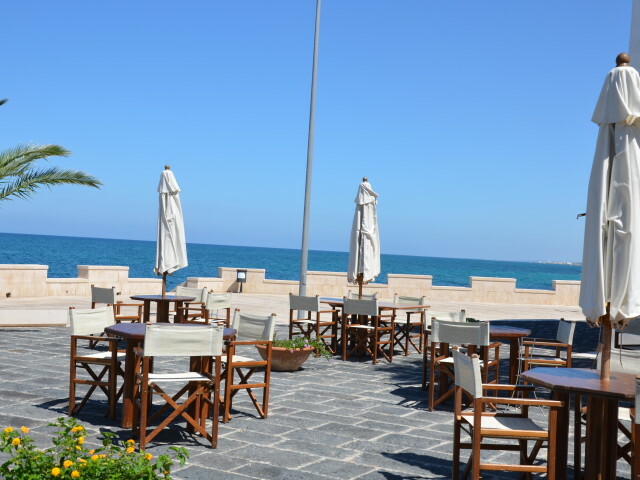 It is the region that makes up the heel of the boot and is distinctly Southern Italian with its heavy Greek influence, white washed villages, palm tree protected masserie (farmhouses), the cuisine of the poor and a slow pace that comes to halt every day at 1 pm. The Pugliese people are genuinely open and staunchly proud of their local traditions, which can be vastly different from town to town. But at the same time Puglia is growing. People, Italians and otherwise are starting to hear more about its many treasures and are beginning to arrive to see for themselves. And the locals are responding. Not yet turned off by the an over influx of tourism, they are in fact quite enamored by the little bit that has arrived to their region in recent years. 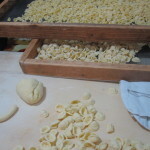 The region has seen a growing number of traditional farmhouses restored into luxury villas for tourists and many are taking advantage of its classic Mediterranean cuisine by signing up for culinary tours and cooking classes, olive oil and wine tastings (see Southern Visions Travel below) Puglia really is a foodies paradise. The sea of course is a draw as no matter where you are in Puglia the sea are not too far away. While swarming with mostly Italian tourists in August, the rest of the year the relatively empty beaches with aqua blue water are a dream. 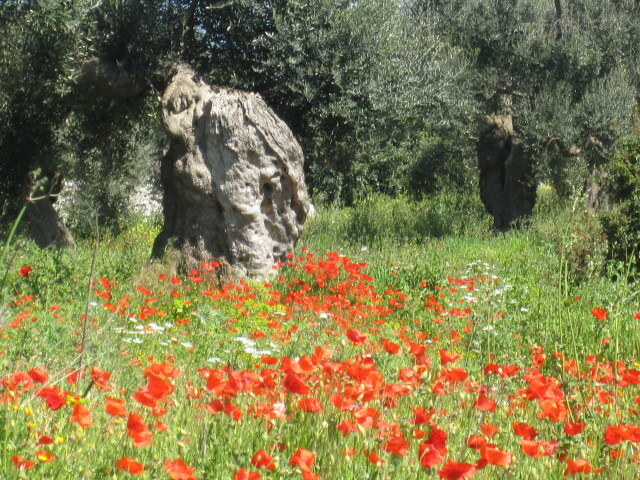 From north to south Puglia covers a lot of ground and its regions are noticeably different. Many pass quickly over Bari, the capital city however it would be wise not to. Bari is a vibrant city that is recently making strides in the effort to shed its dangerous reputation. 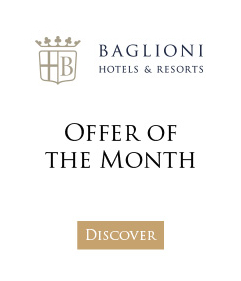 Areas, especially in old Bari, that were places to stay away from ten years ago are now alive with business, nightlife and breathing fresh air. 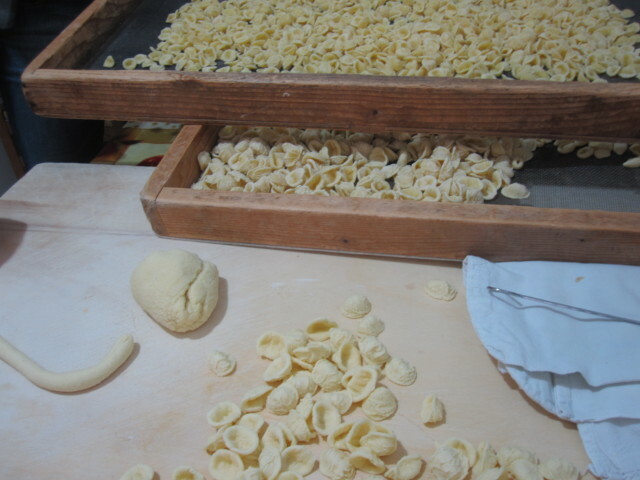 This, alongside the old women who line the streets making handmade orecchiette all day long speaking an incomprehensible dialect, make Barivecchia one of the most interesting places in all of Puglia. If there is a Pugliese version of Tuscany it can be found in the Itria Valley but only because this is the area where the English have bought up properties and settled. Yes, the Itria Valley is made up of hundreds of kilometers of rolling countryside but it looks nothing like Tuscany. 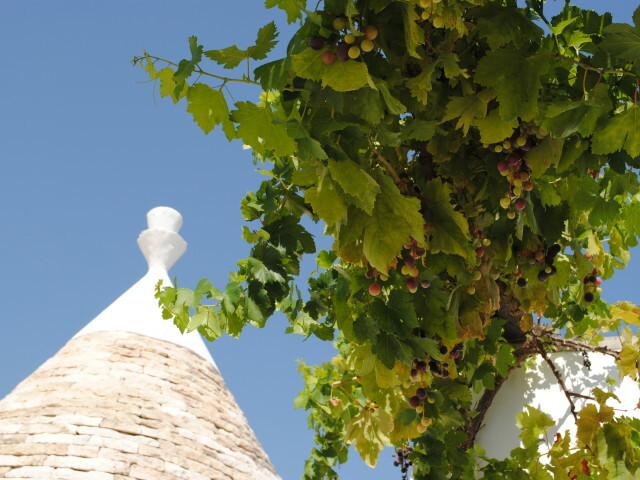 This is the land of the trulli, the conical shaped stone dwellings that dot the landscape. 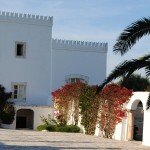 Once used primarily for farm storage and often part of a larger masseria (farmhouse) they are now being lovingly restored into beautiful homes, bed and breakfasts and agriturismi (See www.villapulia.com). 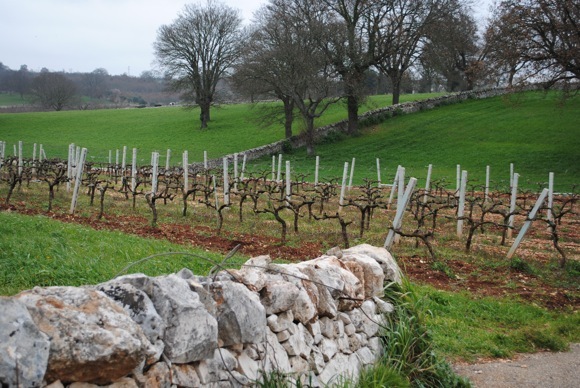 The countryside in this area is also marked by stone walls as far as the eye can see, used to mark the boundaries between property, vineyards and ancient olive groves. In the spring it is ablaze with wildflowers. 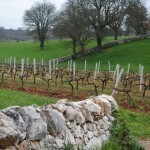 It is here in the Itria valley where you will also find the whitewashed villages. 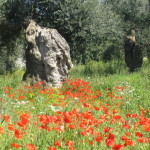 Cisternino is perhaps the most sophisticated of these towns with upscale shopping, enotecas and restaurants. 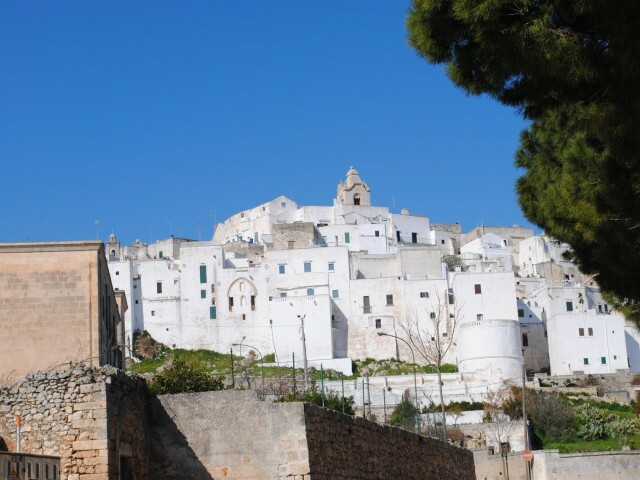 And one cannot speak of Puglia without making mention of Ostuni, la Cittá Bianca, the quintessential white washed village that sits impressively on its perch looking out over the Adriatic Sea. And then there is Salento, the southernmost part of Puglia that seems to remain a bit detached and thus retaining its own identity. Perhaps it is the number of beaches. or the drier. hotter climate, or vast production of Primitivo and Negroamaro grapes and wine or Lecce's casual elegance but Salento presents a vibe that is a bit more laid back but with a twist of sophistication. Again, Lecce has been called the "Florence of the South" mostly I believe because of its Baroque architecture but there is something very creative and enticing stirring in Lecce. For being buried so deep in Southern Italy Lecce is a city that is remarkably hip. 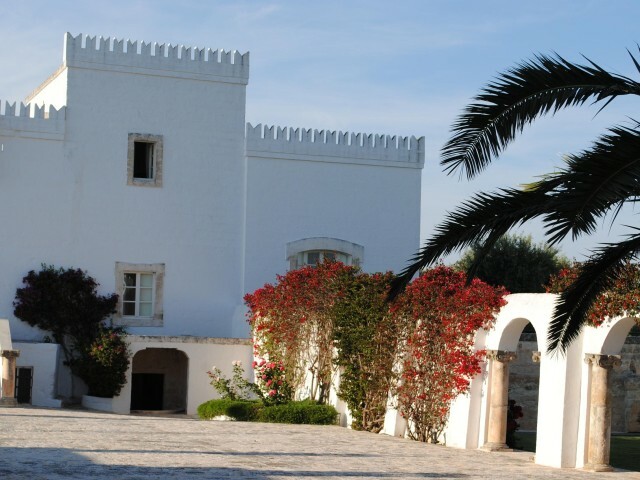 But no matter where you are in Puglia the region is characterized by a few simple elements: Warm people, fresh, simple food, olive trees, the sea, stone and sun. The region is growing and let's hope that in 30 years it will still be these simple things that attract people to the heel of the boot.